As a gardener or a floriculturist, more often than not, you’ve had a backbreaking experience attempting to chop off 2-inches thick branches or wayward tendrils with your pruning shears. Pruning shears or loppers at best can tackle moderately thick branches and stems of woody plants and bushes but when it comes to hiving off chunky and unwieldy limbs, you can’t do without gardening saws. A saw is a must-have tool that any and every passionate gardener should keep in his or her gardening tool kit. Garden saws serve as transitional tools filling the gap between the chainsaw and pruning shears and complement the action of both these tools. 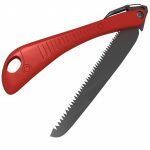 A pruning saw essentially comprises of a curved or straight blade usually of medium length with pointed and sharp teeth, and is permanently riveted to a robust handle. The cutting efficiency of the saw basically depends upon the degree of the blade’s sharpness and the extent of curvature. 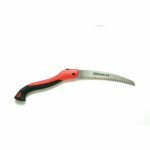 Different types of garden saws are available including pole pruners, handheld saws, and pruning saws with curved and straight blades. Understanding the features of each kind and the specific set of purposes they serve will go a long way in enabling you to choose the one for your garden. Effortlessly slice through thick and tough branches and tendrils of plants or trees in your garden with the Corona RS 7265D Razor Tooth Folding Pruning Saw. The RS 7265D consists of a 10-inch blade with 6 sharp teeth in every inch that easily saws through branches with 5-6” diameters. The blade has carved out of Japanese High Carbon SK5 steel that imparts to the razor an extraordinary durability and resilience. 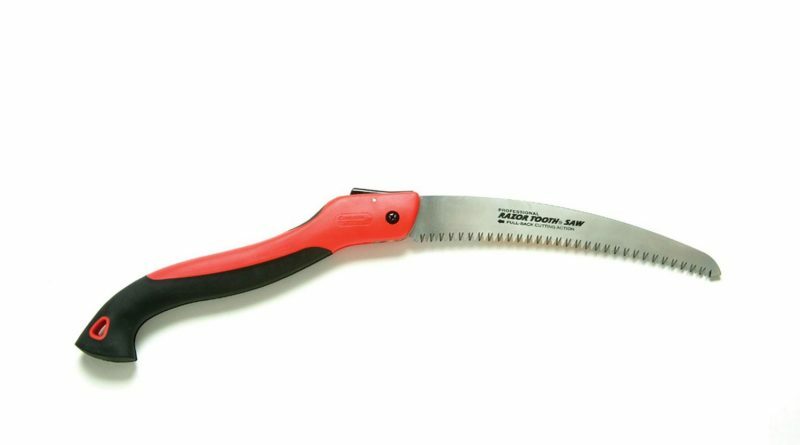 The Tabor Tools Landscaping Folding Hand Saw is a multipurpose tool that you can use for pruning unwieldy tendrils and thickets as well as take along with you on camping or hiking expeditions. The non-slip, lightweight handle features a pistol-shaped grip end for a firmer grasp. The handle also doubles up as a scabbard for sheathing the blade and enhancing its functional life. 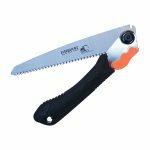 The EverSaw Folding Hand Saw from Home Planet Gear is a versatile multipurpose tool featuring a hardy 8” blade with triple-pronged teeth making it perfect for pruning, sawing, and slicing overgrown branches. The sharp teeth can smoothly cut through plastic, bone, and wood and is equipped with an ergonomically designed non-slip handle which provides the leverage required for any slicing task. 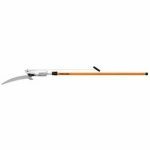 Wrap your fingers around the sturdy handle of the Fiskars 14 Foot Power-Lever Extendable Tree Pruner for hiving off overgrown tree branches and plant tops that you cannot access with a hand pruner. The tree pruner can be telescoped up to a maximum length of 14 feet which does with the need to use a ladder. Also, the 15-inch long WoodZig blade can easily and quickly lop off out of reach branches. 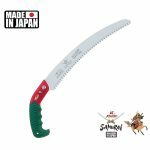 The Samurai Ichiban 13” Curved Pruning Saw features an extra long blade with several teeth per inch that lets you slice up to 4” inch branch with ease. The Kyoku blade has been forged out of the best grade of Japanese steel that makes it effective for rapid cutting action yet keeps it lightweight. The handle grip is curved and looped which lets you grip the saw with firmness. A total of 4 handheld pruning saws from Corona, Tabor Tools, Home Planet Gear and Samurai and 1 pole saw from Fiskars were assessed against some basic attributes like durability, performance, and ease of use. The Samurai Ichiban saw that sported a 13” blade crafted from the best grade of Japanese steel was rated the best and the saw from Tabor Tools was the cheapest yet performed efficiently.